Iao Valley seems to always have new streams of fresh spring water. This artwork symbolizes the fact that water gives all living things life. 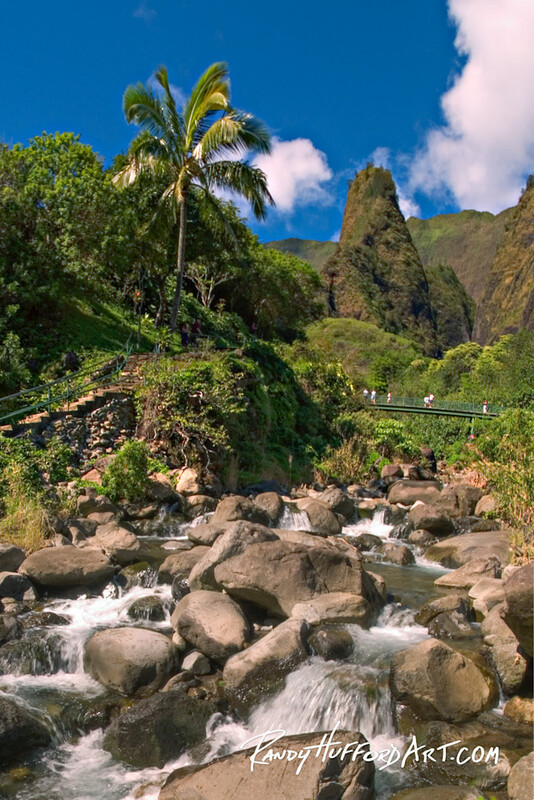 Iao Valley seems to always have new streams of fresh spring water. This place has always been a favorite place to visit. It allows me the chance to pull back and focus on all of the blessings in my life. This image also represents how everything from the rocks, to the sky, the water and even the people on the bridge play a part in the world we live in. It takes everyone and everything to make the world go round. Iao Needle, Iao Valley, Maui.